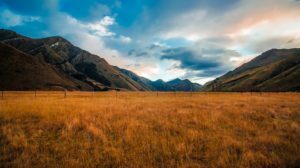 What makes New Zealand unique? “There are few countries on this planet as diverse, unspoiled and utterly, utterly photogenic,” says the Lonely Planet. But more than the natural jewel that is New Zealand, you will be amazed by the kindness of its people. Open a map in the street and locals will stop to show you the way. Most of New Zealand’s uniqueness comes from its natural wonders and culture. 10 New Zealand Wonders That Will Surprise and Amaze! An emerald green lake that appears on top of the volcano Mt Tongariro. Walk in forests like never before, as New Zealand has almost 2000 unique plant species. Hot Water Beach on top of an underground volcanic phenomenon that allows you to dig your very own hot pool. The indescribable and perfectly spherical Moeraki Boulders. Cruise down Milford Sound, described as the “8th Wonder of the World”. Explore the ice world inside the Fox Glacier. See some of the unusual wildlife that is the result of evolving with no land mammals, like the kiwi bird! The world meets here both winter and summer for snow sports and epic surf. Learn about the fascinating culture of the Maori by seeing cultural shows and eating their delicious Hangi meal. Experience the “living Earth” in the geothermal wonderland of Rotorua, with bubbling mud pool and the crazy colourful Champagne Pool.